Deb began personal training in 1994 with the goal of helping others with motivation, guidance and comprehensive health and fitness programming specific to each client’s needs. She currently holds nationally recognized certifications including Certified Personal Trainer and Certified Health Coach from the American Council on Exercise. She also has a specialty certification from the Cooper Institute of Aerobics Research in the Biomechanics of Resistance Training. In addition, she has also taken a course in Golf Biomechanics from the CHEK Institute.Deb is also certified as an Ortho-Kinetics Professional trainer. The Ortho-Kinetics Assessment is designed to identify joint limitations, structural weaknesses, or muscular imbalances that may limit movement, impede performance, induce compensation, create pain, and further deteriorate joint health. The results of this Assessment will provide critical information needed for customizing an exercise program to help your body look, feel and move at its optimal potential. 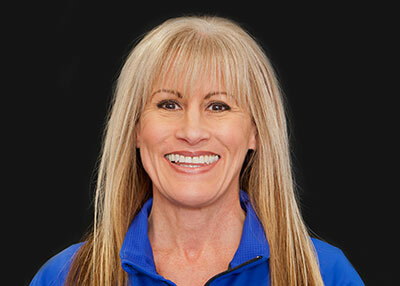 Deb has earned the prestigious honor as an IDEA Elite Level Personal Fitness Trainer. The IDEA Personal Trainer Recognition System recognizes specific quality benchmarks for personal trainers who have demonstrated their commitment to fitness education and the highest ethical standards.